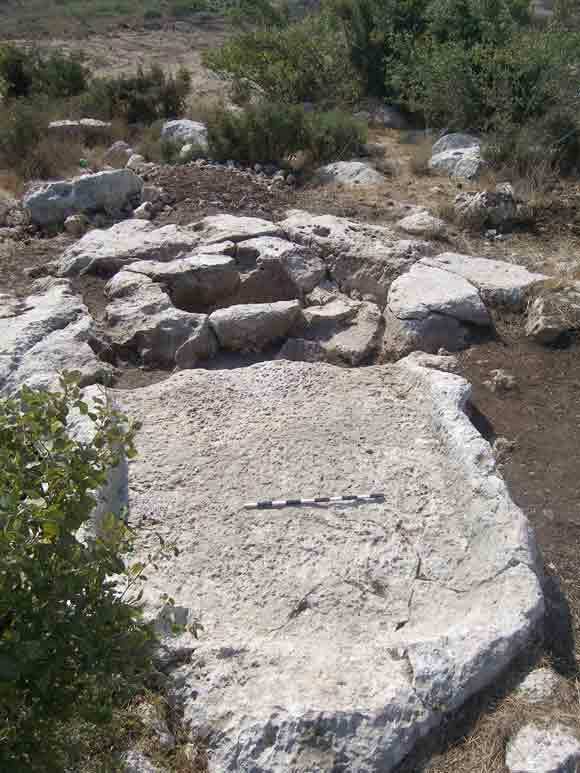 In June–July 2011, a salvage excavation was conducted in Nahal Zanoah (Permit No. A-6613; map ref. 200298–510/624031–182; Fig. 1), prior to construction. 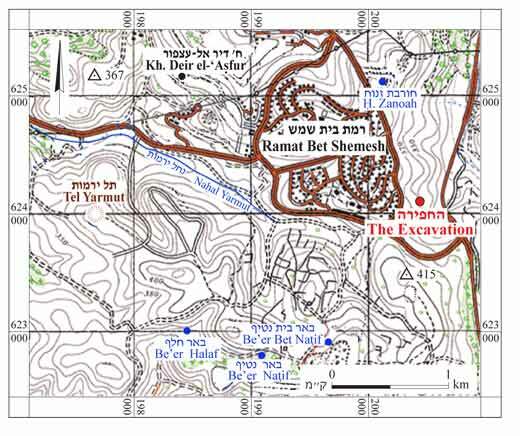 The excavation, undertaken on behalf of the Israel Antiquities Authority and funded by the Ministry of Housing, was directed by R. Be’eri (field photography and drafting), with the assistance of R. Abu Diab (administration), M. Kunin (surveying and drafting) and A. Peretz (field photography). The excavation was conducted at the eastern margins of the Judean Shephelah, in the western catchment basin of Nahal Zanoah (Wadi en-Najil). 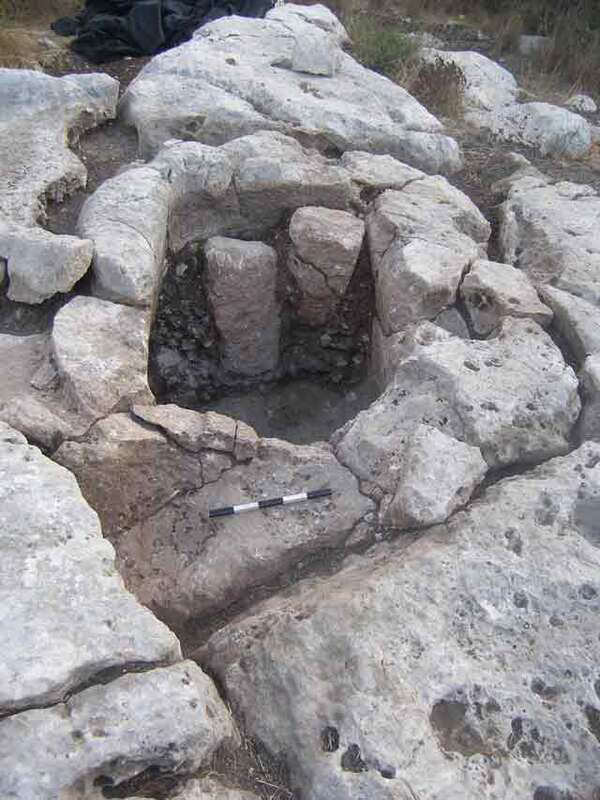 Ancient remains were discovered on a short limestone spur descending gently from west to east toward the wadi, c. 1 km south of Horbat Zanoah and 1 km north of Horbat Bet Natif. The spur is characterized by rocky slopes bearing the remains of ancient agricultural features (Fig. 2). Several agricultural terraces and sherd scatters from the Late Roman and Byzantine periods were identified on the slopes. 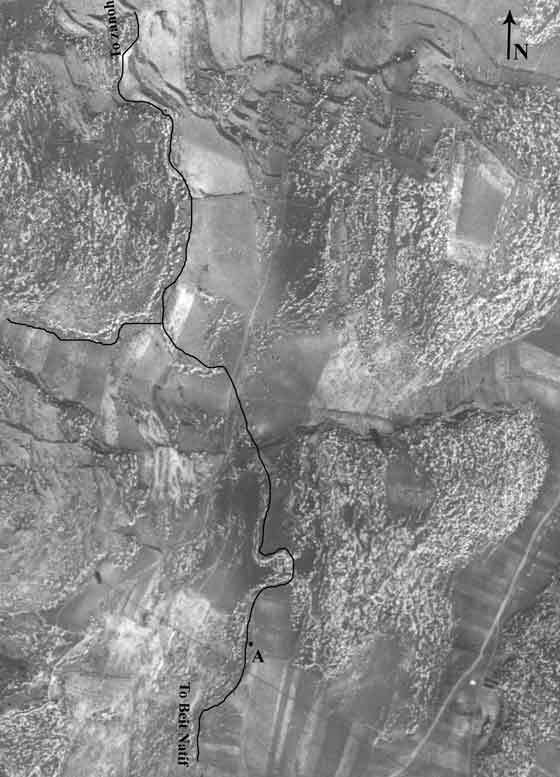 In an RAF aerial photograph taken on 25.1.1946, a road built of two parallel retaining walls can be seen on low hills rising to the west of Nahal Zanoah (Fig. 3). The following antiquities were identified in previously conducted surveys in the vicinity: a farmstead, burial caves, agricultural terraces, oil presses, winepresses, an ancient road and remains from the Iron II, Roman and Byzantine periods (Dagan 2010: Sites 260–263, 265.1–3, 266.1, 2, 267, 327, 332). 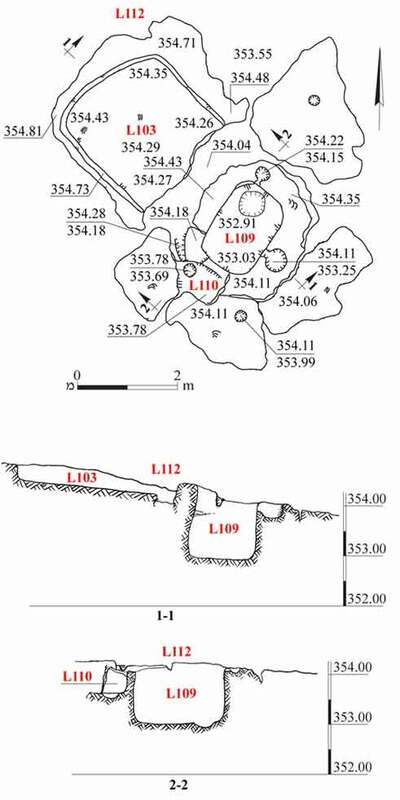 In a survey preceding the current excavation ruins, caves, rock-hewn agricultural installations, a columbarium, lime kiln, cisterns, stone clearance heaps, terraces and remains of ancient roads were documented (Nagorsky 2008). A farm ascribed to the Byzantine period was excavated c. 400 m south of the spur (R. Avner, pers. comm. ; Permit No. A-6593). Our excavation revealed remains of a winepress, an ancient road and an agricultural terrace. Winepress (L112; Figs. 4, 5). The winepress was roughly hewn in hard nari. It consisted of a treading floor (L103; 2.3 × 3.2 m) that sloped from northwest to southeast and drained via a short channel into a shallow intermediate vat (L110; 0.65 × 1.10 m, depth 0.33 m) and a rectangular collecting vat (L109; 1.25 × 1.70 m, depth 1.45 m). Elliptical sumps were hewn in the bottoms of the vats. Two large rectangular stones were placed near the collecting vat’s eastern wall (Fig. 6). The stones were set atop an alluvium deposit that had accumulated on the floor of the vat (thickness 0.1–0.2 m; Fig. 7). An elliptical depression (diam. 0.2 m, depth 0.1 m; Fig. 4) hewn in the northeastern edge of the collecting vat was connected to the vat by a shallow channel. Most likely a jar was placed in the depression, into which the must from the collecting vat was fed. The channel was meant to drain any excess liquid back into the collecting vat. A similar depression (diam. 0.4 m, depth 0.2 m; Figs. 4, 6) was hewn in the southeastern edge of the vat. Two other elliptical depressions were hewn in the rocky ground surrounding the vat. Several pottery sherds dating to the Byzantine period were found in the alluvium overlying the treading floor and in the collecting vat and intermediate vat. 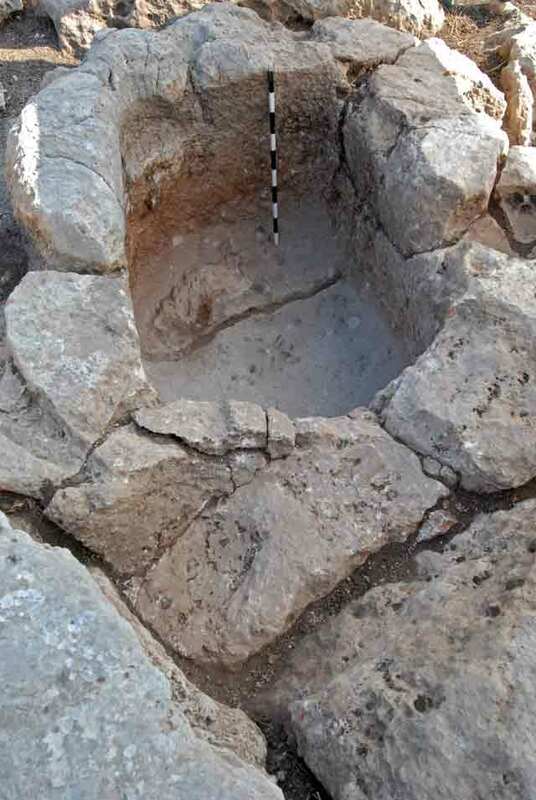 Similar winepresses from this period were surveyed in the area within the framework of the Ramat Bet Shemesh Regional Project (Dagan 2010). Ancient Road. An ancient road was built in a straight line from north to south, c. 100 m northwest of the winepress. The road, which probably ran from Horbat Zanoah to Horbat Bet Natif, crossed the spur and descended toward the ravine separating the excavation from the farmhouse (above, Permit No. A-6593). 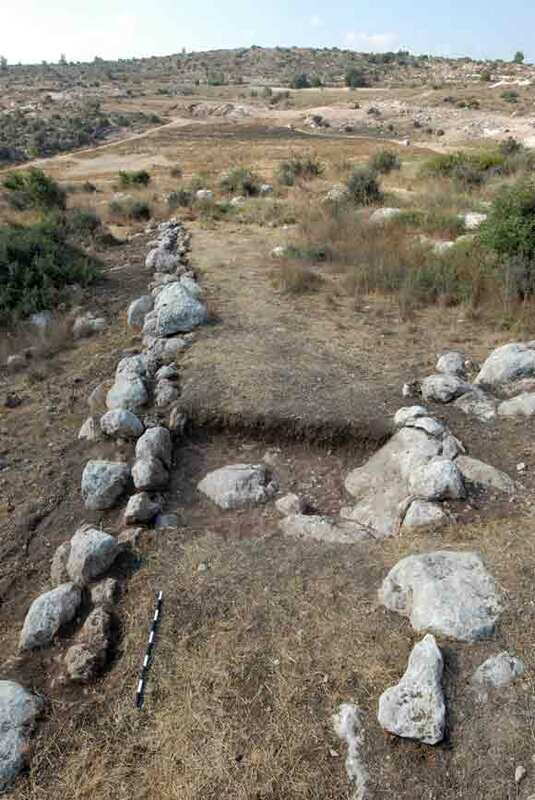 The road (excavated length 20 m, width 4–5 m; Figs. 8, 9) was flanked by two parallel retaining walls (W10, W11; height 1.0–1.5 m) built of two rows of large fieldstones placed on the bedrock and preserved to a height of two–three courses. The spaces between the rocks in the road were filled with light gray soil containing a small amount of pottery sherds from the Hellenistic, Late Roman and Byzantine periods (L115). The latest sherds in the fill indicate the last construction phase, dating at the earliest to the sixth–seventh centuries CE. Brown soil fill (L101) mixed with sherds from the Hellenistic, Roman and Byzantine periods accumulated on the road after it was no longer in use. Agricultural Terrace (L113; c. 8 × 60 m; Figs. 10, 11). The terrace was located c. 30 m east of the road and was constructed on a rocky spur with shallow alluvium. It consisted of two double retaining walls (W12, W13) built of large fieldstones preserved to a maximum height of two courses. Wall 13, the lower of the two walls, was also found exposed on the surface for a distance of several hundred meters north of the excavation. At some point it might have been used to retain an agricultural road that linked Horbat Zanoah with the farmland where the excavation was conducted. Several pottery sherds from the Byzantine period were found in the accumulated alluvium along either side of the farming terrace (L102, L107, L108). Agricultural remains and a road were found that were used in the Late Byzantine period. 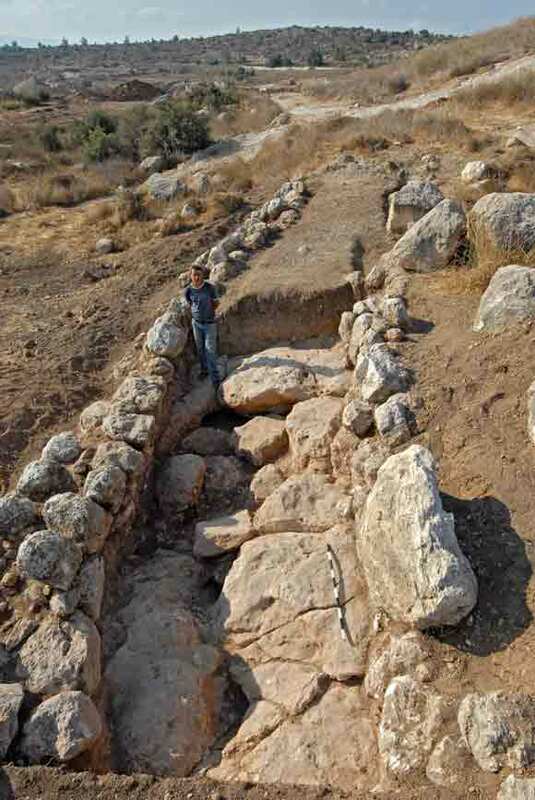 The winepress was part of the farming complex previously surveyed (Dagan 2010), in which there are similar contemporaneous installations. The many winepresses discovered in the region provide evidence that the rocky ground was utilized for growing vineyards in the Byzantine period. It seems that the installations were part of the agricultural hinterland of Horbat Zanoah or Horbat Bet Natif. The road was meant to link the two sites, including their outlying farmland. Nagorsky A. 2008. Horbat Zanoah, Development Survey in the Region. HA–ESI 120. 2. The spur on which the excavation was conducted, looking south. 3. 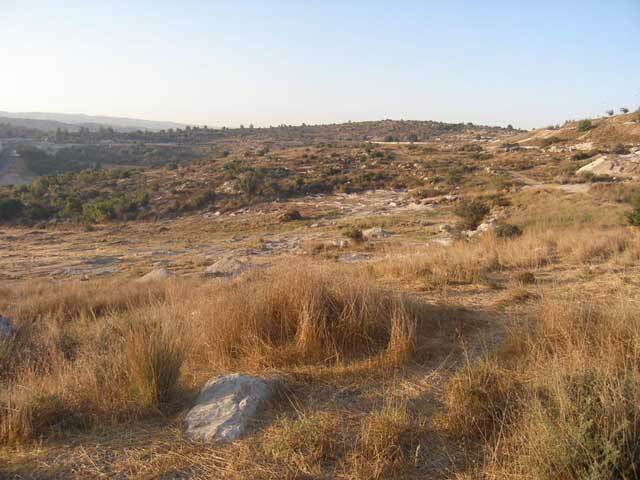 Ancient road, excavation area (marked with the letter A) and terrace to the east, courtesy of the Survey of Israel. 6. Rectangular stones in the collecting vat, looking northwest. 7. Collecting vat, intermediate vat and channel connected to the treading floor, looking northwest. 9. Road, looking south in the direction of Horbat Bet Natif. 10. Agricultural terrace 113, plan. 11. Agricultural terrace 113, looking south.